I am participating in Craftsy's BOM Challenge with Amy Gibson as the instructor. 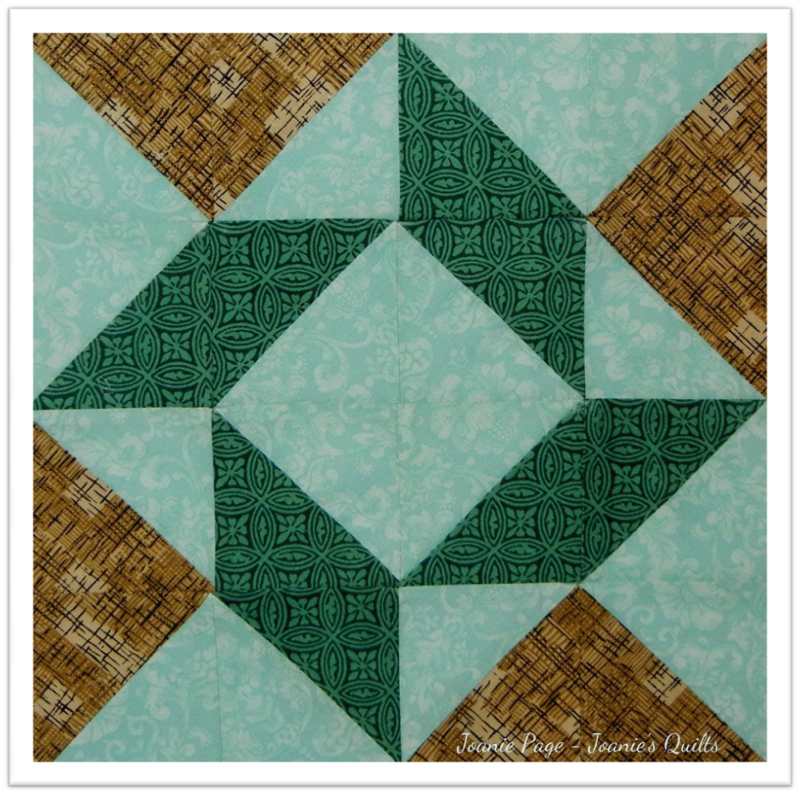 February's BOM challenge was working with half square triangles (HST). Amy demonstrated two different methods for making HST. The first was sewing a 1/4" seam all around two facing squares and cutting the square with 2 diagonal cuts. This method left bias edges. Though this method is quick there is a slight more degree of difficulty dealing with the stretch that comes with a bias edge. I highly starched my fabric before cutting and I still ended with a small bit of stretch but not enough that it can't be worked out. The second method is to place two facing square fabric together, drawing a line down the center diagonally and stitching a scant 1/4" seam on each side of the line. For the HST cut on the drawn diagonal line giving two HST. The Chunky Chevron block went smoothly but the Balkan Puzzle I had to rip out a couple of times. I had the Balkan Puzzle all sewn together when I noticed that the bottom large triangle was upside down. I don't know how I did that so I had to rip out a row and rip out a portion of the row. 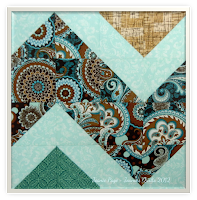 Your comments are welcome or feel free to share your experience if you made these blocks too. Well off to watch the Super Bowl Game with my hubby! Haven't made my Feb. blocks yet. But yours look great!!! 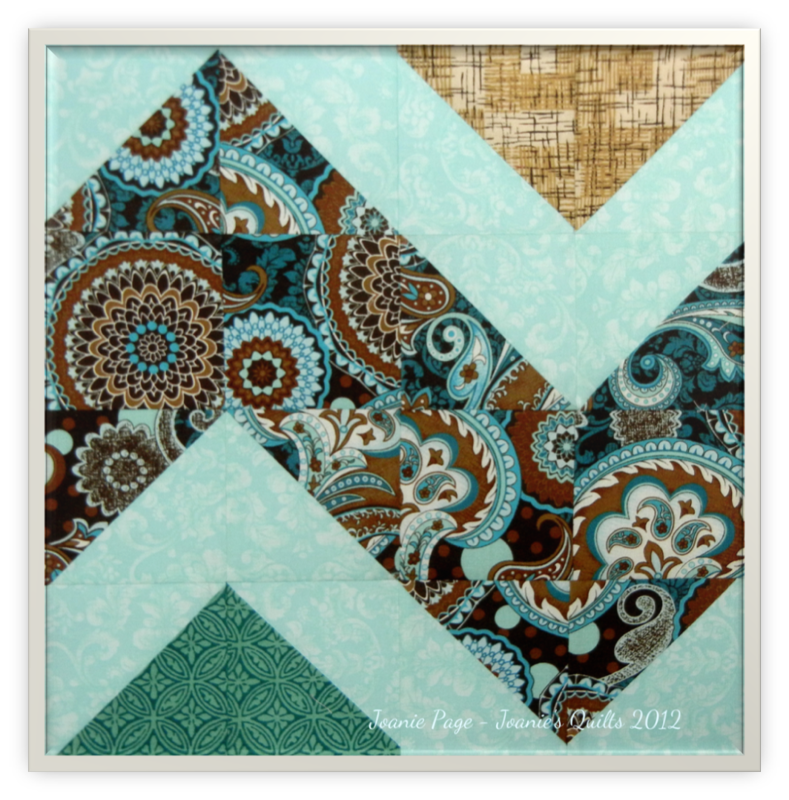 I love how your blocks turned out, Joanie! I hope to get mine done in the next few days. Right now, I'm trying to get a couple of pillows made for two of my nieces' birthdays.